This week in Needham, 24 new home and condo listings came on the market. That number matched the high point for the last 12 months, which was back in March. 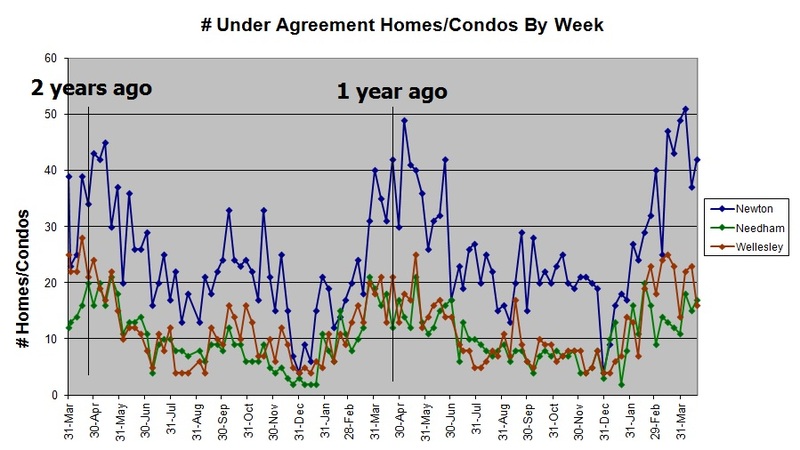 Meanwhile the under agreement number was up this week and at 186 homes and condos on the market, the current inventory is the highest in two years. 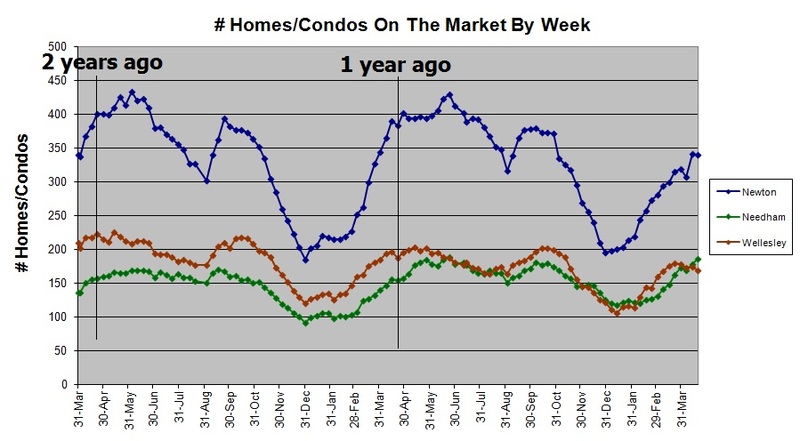 Interestingly, only one property over $1m was among those that went under agreement this week while only 3 of the 24 new home and condo listings were over $1m. 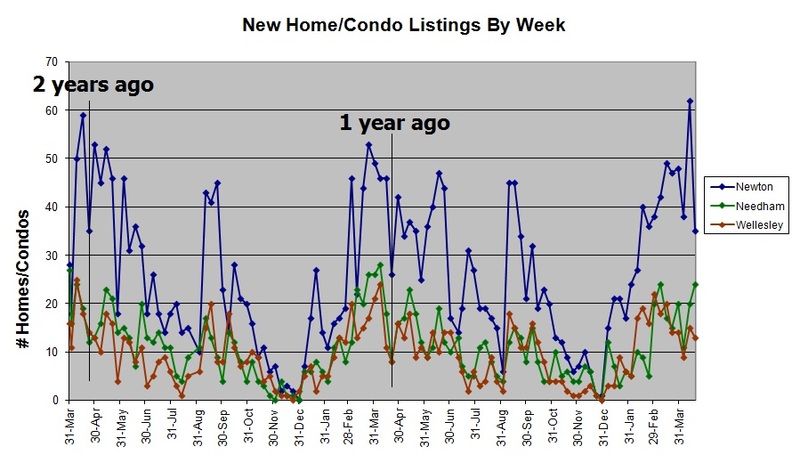 Meanwhile in Newton, after last week’s huge number of new listings, that number dropped this week from 62 to 35 but the number of under agreement listings was in the 40s for the 6th time this spring vs 2 times at this point last year. As I have noted in weeks past, the number of homes and condos on the market this year in Newton is far less than last year and the year before. The number of new listings and under agreement listings, while down, were at or above the numbers from this week the past two years. Wellesley has had a really active spring but this week all the indicators moved down; less new listings, less under agreement listings, and less inventory. This may just be reflecting Boston Marathon day (which runs right through Wellesley) and vacation week. I expect the numbers to bounce back up next week. With everyone coming back from vacation week, I expect this will be an active week. If you would like to know how this activity is impacting the value of your home, give me a call and I would be happy to help you understand the value of your home. To get my “Home of the Day” listings, one interesting new listing from either Needham, Newton, or Wellesley, visit my Facebook page and hit the “Like” button.